Super Eagles and Hapoel Beer Sheva midfielder, John Ogu is happy with his club’s 3-2 last gasp win against Italian side, Inter Milan in the UEFA Europa League clash at the Turner Stadium on Thursday. 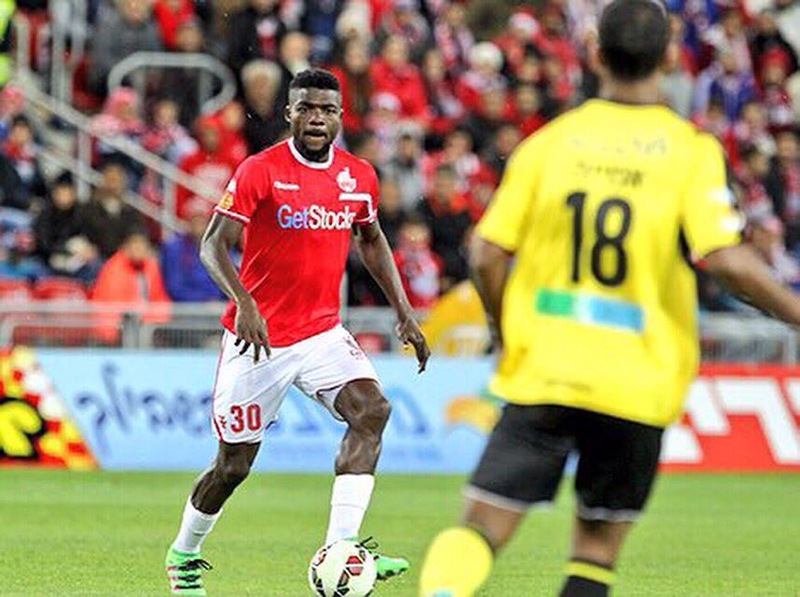 Ogu, who was in action for the entire duration of the match, expressed his excitement via twitter after the game. He also revealed that focus is now on Sunday’s league game against Kfar Saba FC. “Thank u Great God for the wonderful victory, proud of d team and our wonderful fans for a great support. Focus now on Sunday against Kfar Saba,” Ogu wrote on twitter. Meanwhile, another Nigerian, Anthony Nwakaeme, Lucio Maranhao and Ben Sahar were the scorers for Hapoel in the 3-2 home win to Inter.